The first known federal disaster relief programs occurred after Portsmouth, New Hampshire fires of 1802 and 1805. This was followed by the Norfolk fire of 1804, and the New York fire of 1835. There was also federal relief provided after the New Madrid earthquakes in Missouri in 1811 and 1812. Beck’s claim that until 80 years ago there were no federal disaster relief programs is not true. This history of this country proves him wrong. More troubling than Glenn Beck’s ignorance of American history is the attitude that the federal government shouldn’t help after a natural disaster. One of the government’s primary responsibilities is to protect all of its citizens. Glenn Beck wants to define protection only in military terms, but the public outrage at the bungled federal response to Hurricane Katrina demonstrated that the American people expect more. 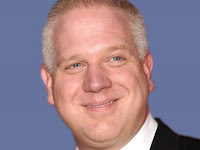 There is a reason that Beck's biography is subtitled Glenn Beck and the Triumph of Ignorance. Beck has been expressing fiction as "history" and false claims as "facts" for years. One can only wonder what kind of person listens to Glenn Beck and believes that he is either informed or honest when his claims are so easily fact checked and proven wrong. Some people just want to hear something to believe to be factual. It is difficult to know how most Americans hear this kind of callous remarks from this radio propagandist, but one thing is clear. Glenn Beck is an extremist way out of touch with what most people expect from government. The reason pundits have been calling any little crisis that President Obama has faced "Obama's Katrina" is precisely because the government was not responsive enough to the crisis of New Orleans and along the Gulf coast in the aftermath of that disaster. Beck was alive at the time; he remembers the disaster of Katrina and the failure of the government in the aftermath of that hurricane. expresses fiction as "history" and false claims as "facts"
He also seems to believe that the government is not needed to restore the services needed for the businesses affected by this storm to get back to work and back into business. The fact is, business units, large and small, rely upon effective government to protect their private interests as much as people, individuals and in groups, rely upon effective government to protect their (our) public interests. There is no one else who can do this as effectively as the government, no matter what Glenn Beck fantasizes about people helping people without help from Washington and state capitals. Hurricane Katrina proved this assertion as a verity no matter how much Mr. Beck wants to forget or ignore it. Beck blasts big government and praises the military, but ignores the fact that the Dept. of Defense is the biggest part of the US government and has the same problems with waste, fraud and a bloated bureacracy as any other aspect of government or big business. The Walter Reed scandal is only the tip of the iceberg now that we've had ten years of war. Beck routinely ignores what doesn't fit into his reactionary world view. That's called cherry picking, and it's a form of deception.